A historical thriller set in Germany, 1660: When a dying boy is pulled from the river with a mark crudely tattooed on his shoulder, hangman Jakob Kuisl is called upon to investigate whether witchcraft is at play in his small Bavarian town. Whispers and dark memories of witch trials and the women burned at the stake just seventy years earlier still haunt the streets of Schongau. When more children disappear and an orphan boy is found dead—marked by the same tattoo—the mounting hysteria threatens to erupt into chaos. Before the unrest forces him to torture and execute the very woman who aided in the birth of his children, Jakob must unravel the truth. With the help of his clever daughter, Magdelena, and Simon, the university-educated son of the town’s physician, Jakob discovers that a devil is indeed loose in Schongau. But it may be too late to prevent bloodshed. 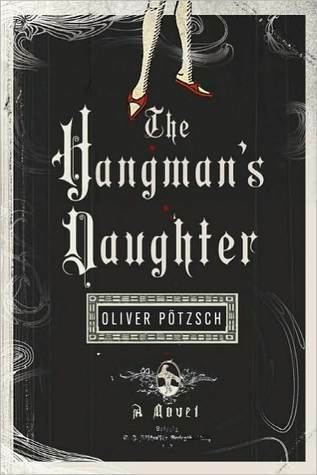 Oliver Pötzsch turns family history into fiction with his novel, The Hangman's Daughter. A murderer is upon the town of Schongau, killing orphan children, and the town clerk is determined to place the blame on the shoulders of a "witch" in order to calm the town in the quickest way possible. While the townspeople accept this notion, two men fight to prove the "witch's" innocence. Jakob, the hangman, and Simon, a physician's son, are the two main characters of this novel. The story revolves around them searching for clues to bring the real murderer to justice. Jakob has a rather gentle soul for an executioner, and he's a rather easy character to connect with. He lets his emotions, and gut instincts, lead him through this mystery, satisfied only by the truth he finds. Simon, a young man who wants to by a physician himself, turns to Jakob for guidance and instruction. He sees the hangman as a role model who can teach him the ways of a great doctor. He is also in love with Magdelena, the hangman's daughter. Readers will be able to connect with Simon as they will also see Jakob as a role model. The love story that goes on between Simon and Magdelena will create another bond between readers and the characters. As everyone in the novel is against them being together, readers will join the fight to see them happily paired. The plot that Pötzsch creates is well crafted with twists and turns, leading readers to a number of possible conclusions. It is well organized with so many different factors that readers won't know who to believe, or who to trust. As the town council searches for a scapegoat, the real murderer continues to hunt down the children, and the devil walks among the townspeople. Readers will be drawn in to the story, though it does take a few chapters before the novel starts to evolve. Definitely a recommended read for those who love historical fiction and murder mysteries. I like an occasional dose of historical fiction, although I haven't gotten along with many murder mysteries in the past. It seems I end up with murder mysteries that have a dark, serious tone, and I find myself uninterested. Hopefully The Hangman's Daughter will connect with me, because I'd love to read it (and I'd love to like it).